If you want to change the wrist in which you wear Apple Watch, you can do so without having a cumbersome button experience by choosing to switch the **device’s** orientation. This also insures the **device’s** screen will show properly, otherwise if you simply move the Watch from one wrist to the other, the display would be upside down. 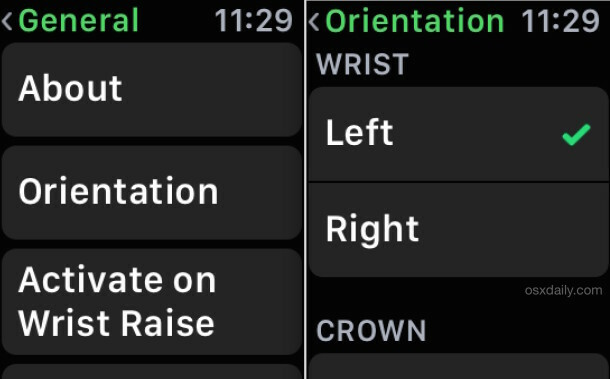 Also, you may find this helpful if you want to wear the Apple Watch on the same wrist, but simply wish to change the **device’s** digital crown orientation as well. Tony, I have an Apple Watch, and not only will I wear it on whichever wrist you want, but I am also a copy editor in NYC! If you want to pay me $160k per annum with full benefits I will do the job you ask for you. If you just want me to contract for you, it’s $250 per hour. It’s a tough job that requires a lot of precision, it’s in high demand too, putting apostrophes into autocorrect errors and catching typos, but someone has to do it, and fortunately for you, I have an Apple Watch (currently on my left wrist, I will switch it to the right wrist orientation for you upon signing of our deal) I am an editor with extensive copy writing and editing experience. I’ll do this part time for you Tony. Anyway Tony, it is very nice of you to volunteer to pay for such a service for this website! Thanks Tony, appreciate it! You can find me on LinkedIn, Weird Cat Copy Services. By the way I wrote this on my Apple Watch! Pretty sure you meant, ensures, not insures. No apostrophes required. Actually, more important that the apostrophe error is that this explanation is not complete. In fact, you can configure the wrist where the watch is to be worn and the crown orientation separately. If you look at the pictures above there are two menus under orientation: one that says wrist and another below that which says crown, each offering the two options: left or right. This also applies to the apple watch app in the paired iphone, not pictured here. 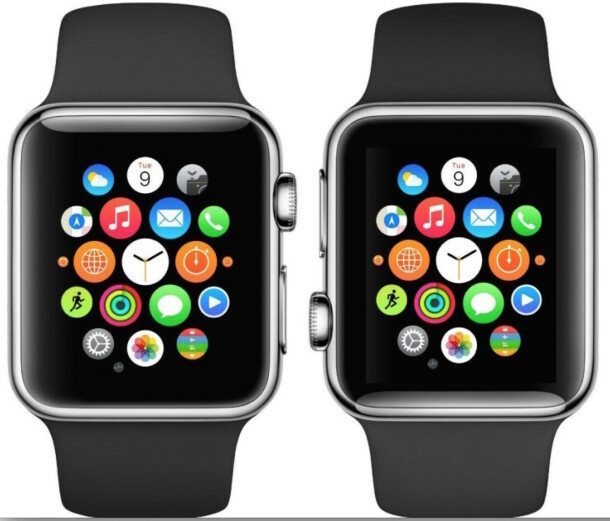 I wear my Apple Watch on the left wrist, I tried it on the right and it felt weird. I am right handed. Wow, the grammar police are putting in overtime today! Was that sentence OK? Inquiring minds are dying to know. Whoa. I can change the button orientation on a watch. Isn’t life precious.